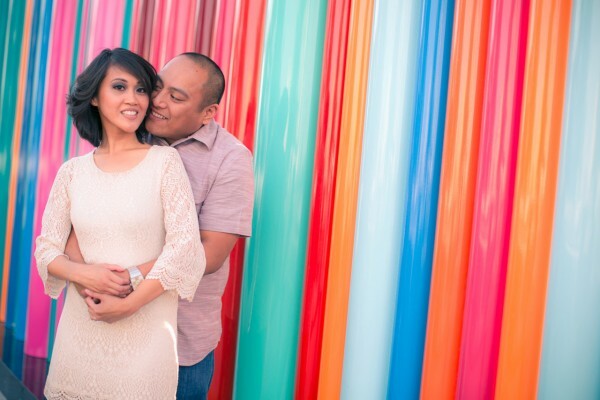 Gavin and Chrystal had their romantic and dreamy engagement session with Myron Hensel Photography in and around an area near downtown Las Vegas. 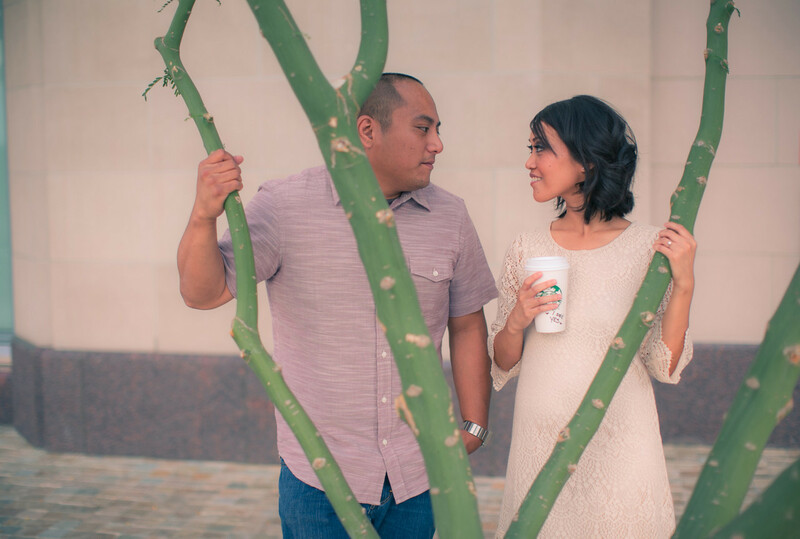 Can you believe the variety of locations and photos available within steps of the Smith Center? There is of course, the much loved Tim Bavington rainbow sculpture, the foliage and greenery of Symphony Park, the courtyards of the Smith Center and even the gritty feel of a trainyard. 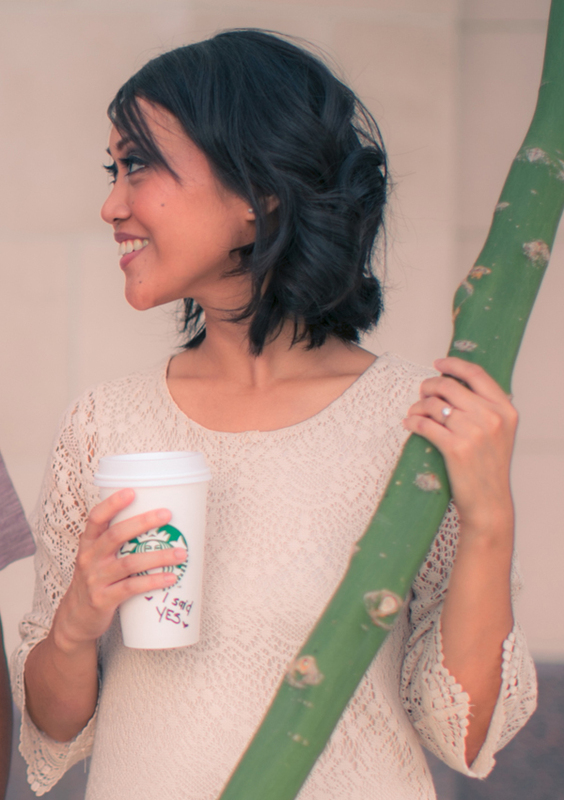 I also love the little detail on Chrystal’s Starbucks cup – can you catch it? Something tells me this girl’s got a runner up to Gavin when it comes to winning a place in her heart. As a fellow Starbucks addict, I can relate! Best wishes, Gavin and Chrystal!